Press Release (ePRNews.com) - LOUISVILLE, Ky. - Nov 21, 2017 - ​Peerless Kentucky Straight Rye Whiskey has been ranked by Whisky Advocate, out today, as no .15 of their Top 20 Whiskies of 2017. Peerless and its two-year-old Rye is the only craft producer and Rye being awarded in this year’s list. “I am proud and humbled that we at Peerless have received this honor from such a distinguished whiskey publication. This award exemplifies the contributions, dedication and pride of every Peerless employee,” Corky Taylor, CEO and Chairman, states. After only having the Rye on the market since May of this year, Whisky Advocate awards it for delivering a buttery mouth feel with toasted rye and baking spice notes, along with the distillery’s use of sweet mash fermentation, rather than the much more common sour mash technique and being the only craft producer on our list. (Fred Minnick, pg. 74) The Taylor family’s decisions to choose their own path, age their own product and craft at an unhurried pace, are continuing to prove time-worthy and trustworthy. 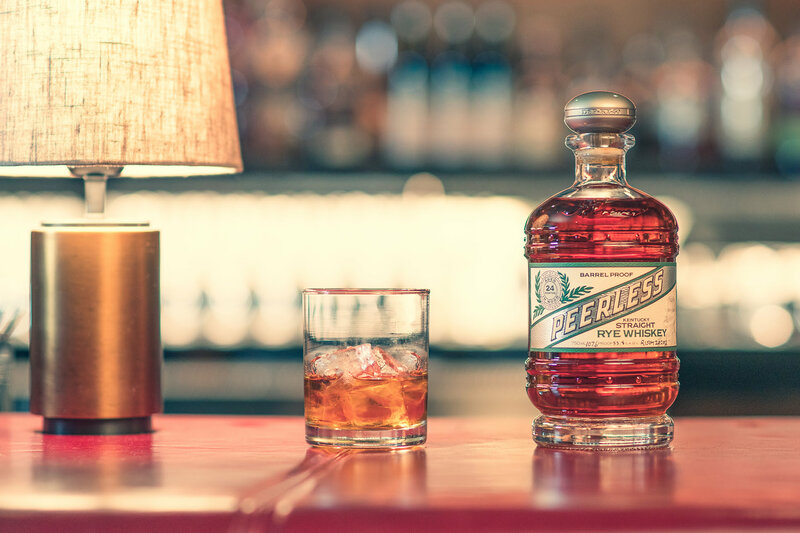 Delivering a buttery mouthfeel with toasted rye and baking spice notes, Peerless is the only craft producer on our list. It’s hard to pinpoint why this young rye succeeds where others fail, but one point of difference is the use of sweet mash fermentation, rather than the much more common sour mash technique, where spent mash is added to the new fermentation. Furthermore, the Peerless warehouse achieves temperatures upwards of 110 degrees. Whatever the technical reasons, Peerless is paving the way and we expect more craft distillers to join them. Peerless Kentucky Straight Rye Whiskey, Single Barrel and Flagship, can be tasted and purchased at the Kentucky Peerless Distilling Co. located on 120 North 10th Street in downtown Louisville. The distillery is open to the public for tours and tastings Wednesday through Saturday from 10:00 a.m. to 5:00 p.m. Visit www.kentuckypeerless.com or call 502-566-4999 to book today.